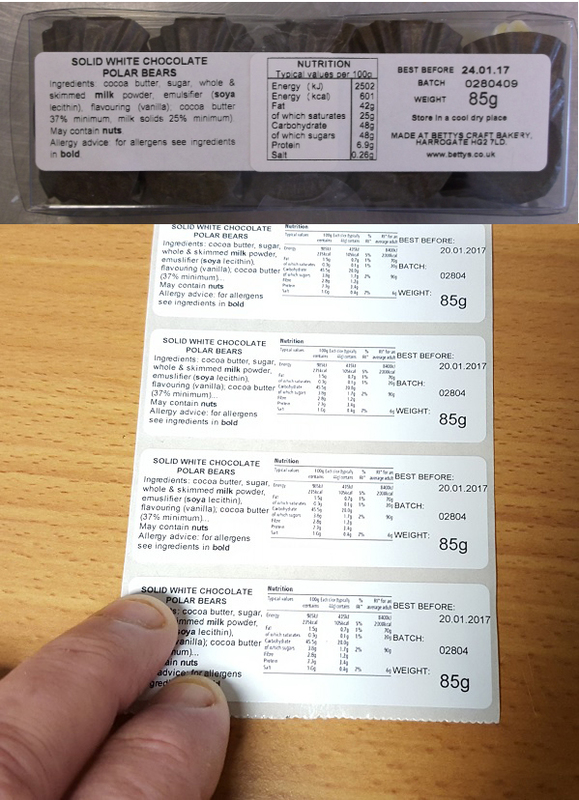 The new Nutrition labelling requirements is putting a strain on legacy thermal transfer label printers but we have a solution. Please see the attached photo and see how we compare the existing thermal transfer print with new ink jet print. We noticed customers using two labels since the type face of older printers can’t be reduced so small without loss of print? The old printers are not great at text justification so tend to leave spaces between words and formatting not looking so good. There is a risk of ribbon creasing and losing whole sections of print. 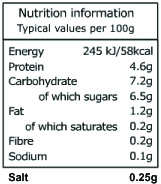 The clarity of the print is limited to 300dpi that tends to limit how much information we can get on a label. With ink jet the print can be as high a 1200 dpi (Epson) and 4800 dpi (Primera) so you can see we can print much more information as we can use a smaller type font. The modern Windows roll fed label printers allow better and neater text formatting in a smaller space down to a font size of 4 point usually the minimum by Government Regulations. There is no print ribbon creasing or ribbon waste and less risk of smudging. With the new pigment ink types available the ink jet labels are fridge and freezer proof so moisture not affecting the print. Not get a legal requirement but certainly a fashion one and may be all labels will have such colour identifiers on soon. Call us on 01527 529713 for best advice and to discuss our range of label printing solutions.